What is the Best Way to Book an Ocean or River Cruise? Roaming Boomers Travel Services and our Roaming Boomers Blog were both built to primarily serve the 80,000,000 baby boomer travelers who are at or near retirement and now have a strong desire to travel and see the world. And the fastest growing segment in baby boomer travel has been river cruises followed by ocean cruises. So, it should come as no surprise that there is a significant amount of information on our blog about river and ocean cruises. And further, river and ocean cruise bookings represent over 75% of the gross revenue of our travel agency. And remarkably, we just learned that Roaming Boomers Travel Services (that’s Carol and me) are the #1 producing travel agents in all of Virtuoso’s 16,000 agents with Viking Cruises. And, we’re in the top 5 with Viking in the world! It blows our minds. You can learn more about that by clicking here. So, one might ask, why have our river and ocean cruise bookings shot through the roof, why should someone book with us, and what is the best way to book an ocean or river cruise? Well, let’s see if I can address those questions for you. The 70% Factor -Cruise Lines International Association (CLIA) reported in its 2015 State of the Cruise Industry Report that 70% of river and ocean cruise travelers book their cruises with a travel agent. Does that surprise you? When we first learned that, it surprised us a well. However, now that we own a travel agency, it has become crystal clear. Read on. Same Price – contrary to popular belief, the price of an ocean or river cruise is the same whether you book it yourself through the cruise line or choose to book through a travel agency. So, that begs the question: why do it yourself? You don’t know what you don’t know. A trusted expert travel advisor is going to be a wonderful asset for you. And again, the price for the cruise is the same. Unadvertised Private Sales – because the cruise industry knows that 70% of its bookings are coming through travel agencies, the quickest and least expensive way for them to offer specials to fill their inventories is to use the travel agency channel. As travel agency owners, we see a fairly regular stream of unadvertised private sales. 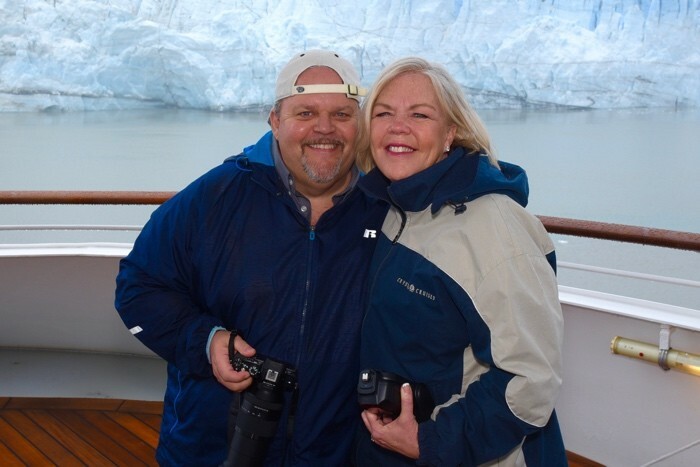 And consider this, if Carol and I are the #1 Viking Travel Advisors in Virtuoso and #5 in the world, who do you think gets first dibs on these private sales? Our clients benefit because of our industry clout. Consortium Clout – and speaking of clout, our travel agency is a member of the Virtuoso Travel Network. Because of our membership in a travel consortium, this makes our agency a part of a $22 billion network of travel agencies and therefore gives us buying power to pass along to our clients. Our buying power translates into special shipboard credits, private sales, and exclusive cruise societies. Our cruise society is called the Virtuoso Voyages. When our clients book with us, they enjoy an exclusive shipboard cocktail party, an onboard Virtuoso host, a private Virtuoso shore excursion, a private car and driver in some ports, and more. And again, all for the same price as you would get booking it yourself online! It makes no sense for you to book a cruise yourself. It costs you money, and you’re missing out on complimentary VIP perks. Knowledge and Collaboration – if you call a cruise line to book your ocean or river cruise, you’re going to likely speak with a very nice 30-year-old who has never been overseas and very likely has never sailed on the cruise that you are considering booking. Sure, they can place your booking, but what about all of the other questions you’re going to have? Wouldn’t you rather get your advice from someone who has sailed with the cruise line? You’re Not Alone – while its unlikely that you’ll encounter a problem with today’s cruise lines, having a travel agency behind you as an advocate proves invaluable for those times that problems do occur. Again, because of our clout, if problems do arise, they are taken care of immediately. 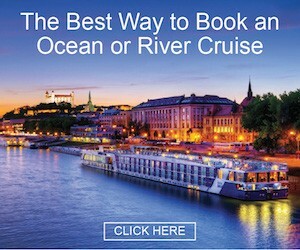 Time Savings – the plethora of choices for ocean and river cruises can seem completely overwhelming. As your travel advisors, we will seek to understand your travel style, your preferred investment, and many times can offer suggestions that you simply don’t know existed. Having a professional travel advisor in your corner will save you countless hours of research and take a lot of the worry out of the process. Carol and I have yet to sail with every conceivable ocean or river cruise line. But, our clients have, and we poll every one of them when they get back. We’ve got hundreds and hundreds of first-hand reports. And if that doesn’t work, through our travel agency affiliations, we’re tapped into folks who have been traveling for 30, 40, even 50 years. Our connections are invaluable. So, are you thinking about an ocean or river cruise? Call Roaming Boomers Travel Services at (480) 550-1235, or use our convenient online information request (click here) and we’ll reach out to you.? What assurances do you offer that should we book with you now and your travel agency fails between now and when the trip is to occur that we will not loose our money?